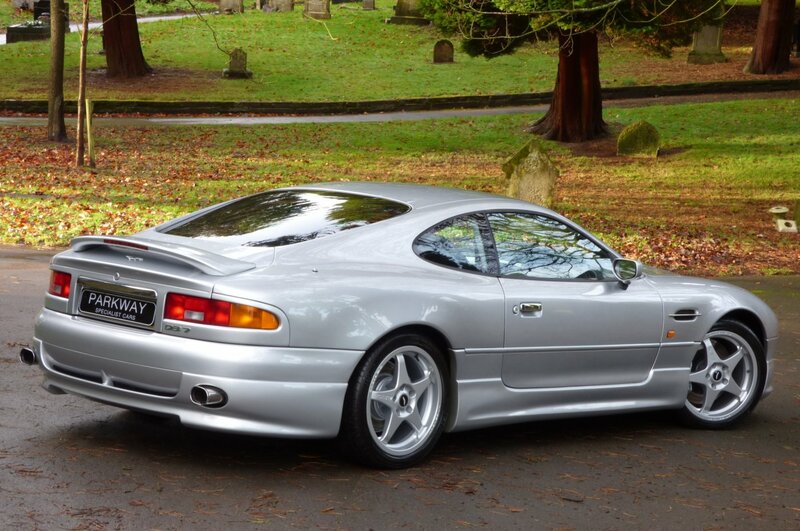 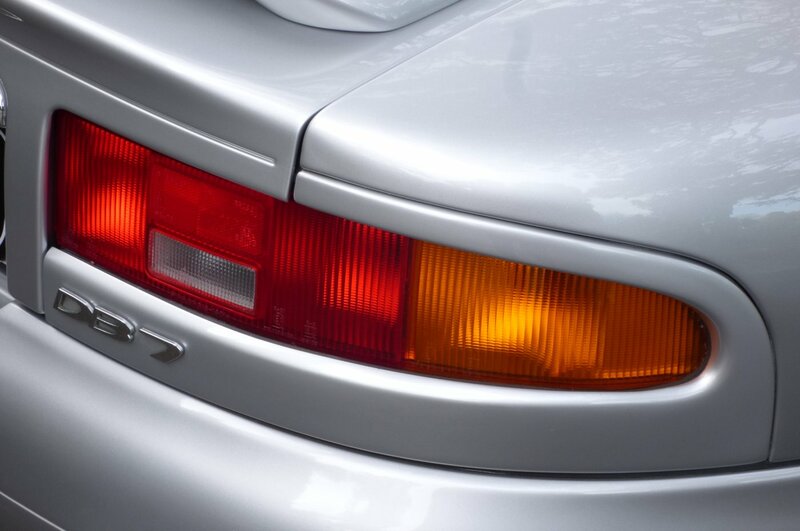 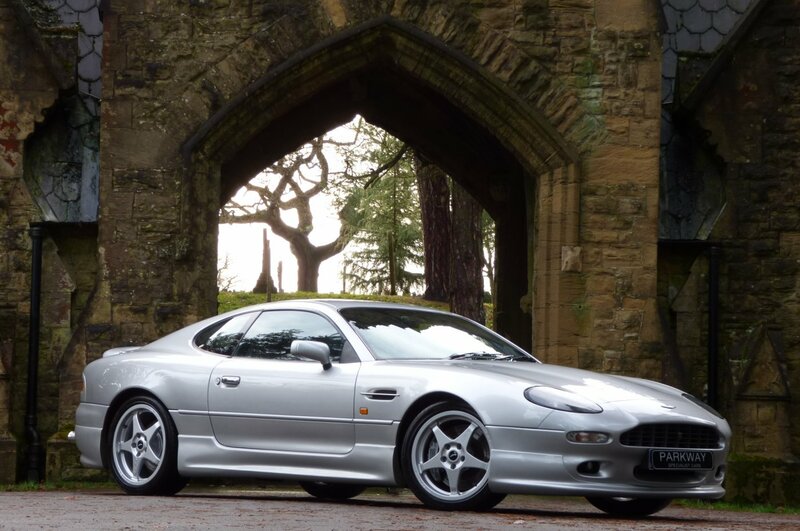 After The DB7 Prototype Was Completed In The November Of 1992, This All New Grand Tourer From Aston Martin Was Then Showcased To The World At The March 1993 Geneva Motor Show, With The Order Books Then Open For New Car Deliveries The Following September. 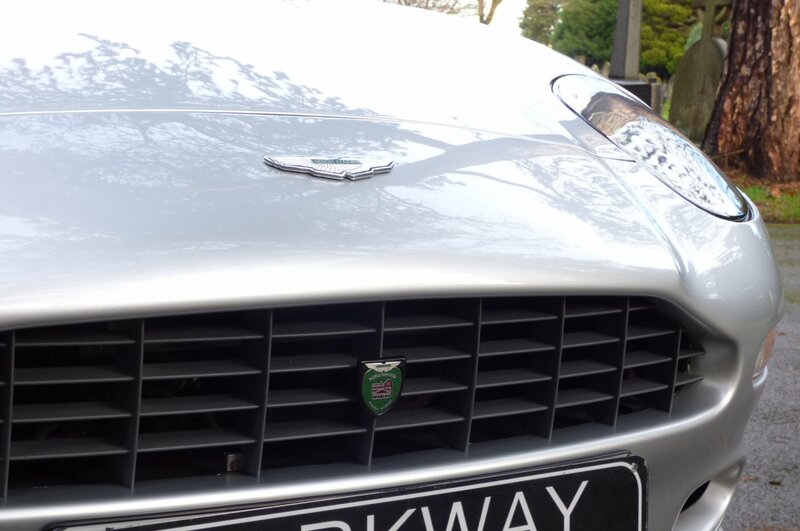 The Dramatic Exterior Styling Came From The Perfect Partnership Between Ian Callum And Keith Helfet, With The Engineering To Be Completed By Oxfordshire Based Tom Walkinshaw Racing Under The Watchful Eyes Of The Aston Martin Factory, With The Total Package Of Sheer Elegance, Teamed With Super Car Capabilities, All Of Which Was Warmly Received By Eager Buyers And The Global Motoring Press. 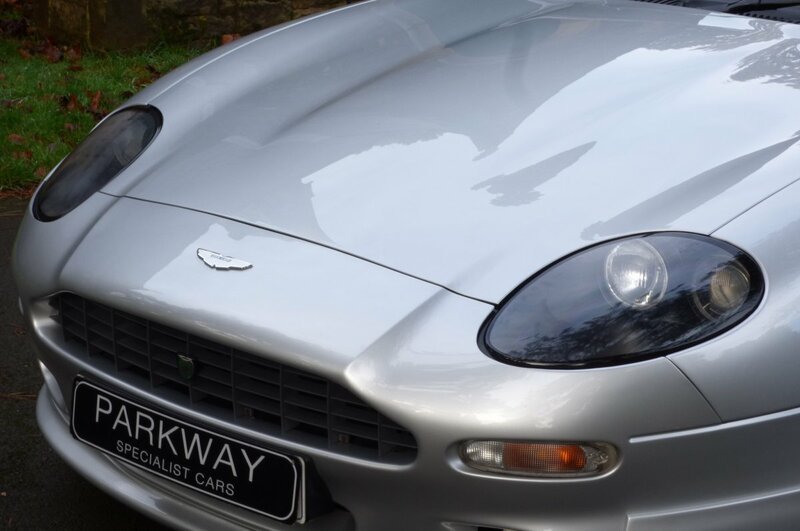 In The December Of 1997, After Pressure From Potential Buyers, The Aston Martin Factory Announced The Limited Production Run Of The DB7 i6 Alfred Dunhill With First Reports Being That A Total Of Just 150 Vehicles Would Be Offered At The Start Of 1998, However Despite The High Interest An Estimated Run Of Only 78 Cars Had Been Sold And Delivered, With This Figure Being The Total Sales Around The World. 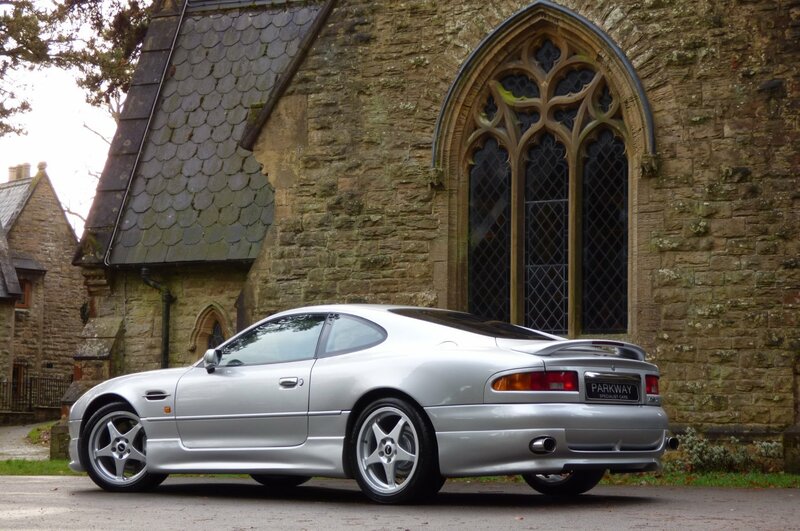 The Reasons For Sudden Change Of Heart From Potential Buyers May Have Been The Enormous Price Ticket Of £120,000 Or News That A Newer V12 DB7 Was On The Cards For 1999, However With This Lack Of The Original Demand, This Has Now Meant That This Model Was To Have Very Limited Numbers, Which In Turn Has Made This Widely Collectable On A Global Scale Down The Line. 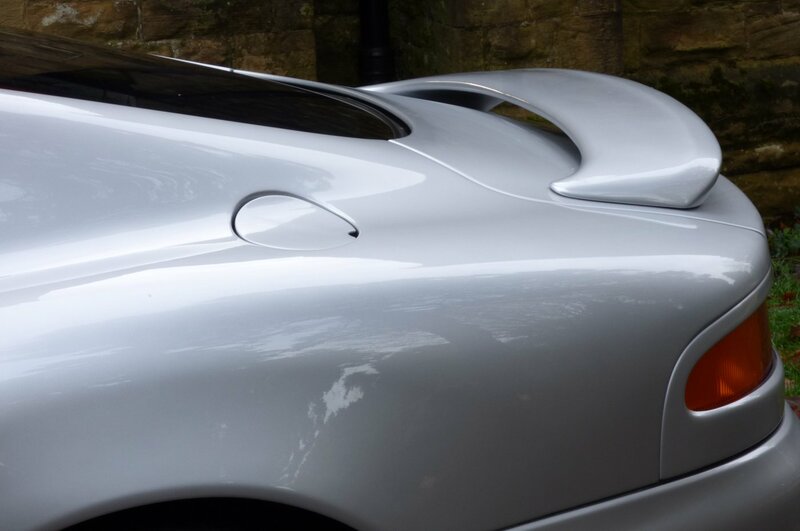 If We Fast Forward To 2017, A New Breed Of Buyers And Collectors Have Been Trying To Acquire The Very Best Of This Much Loved British Brand, With Many Wanting Their Own Piece Of This Iconic Manufacture, So With This We Are Of Course Delighted To Offer Number 14 Onto Our Current Vehicle Inventory. 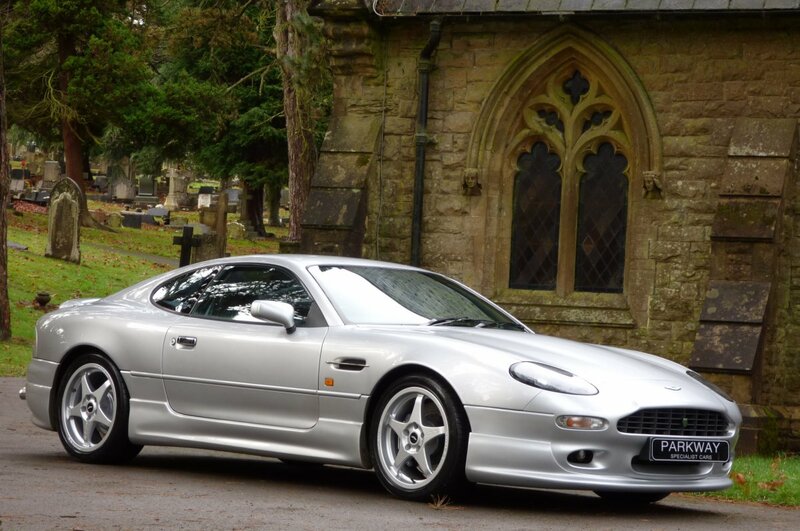 It Is Believed That This Fine Example Was First Supplied By Lancaster Sevenoaks In The January Of 1999 To The Arsenal And England International Football Player, Ian Wright. 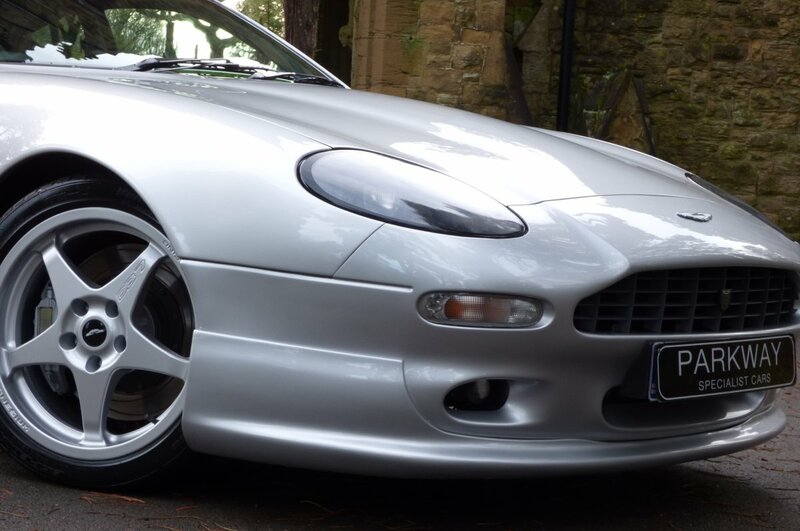 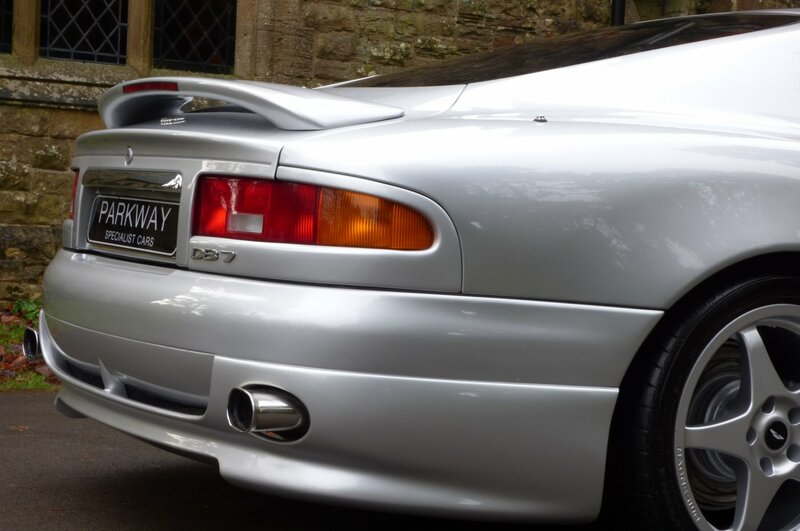 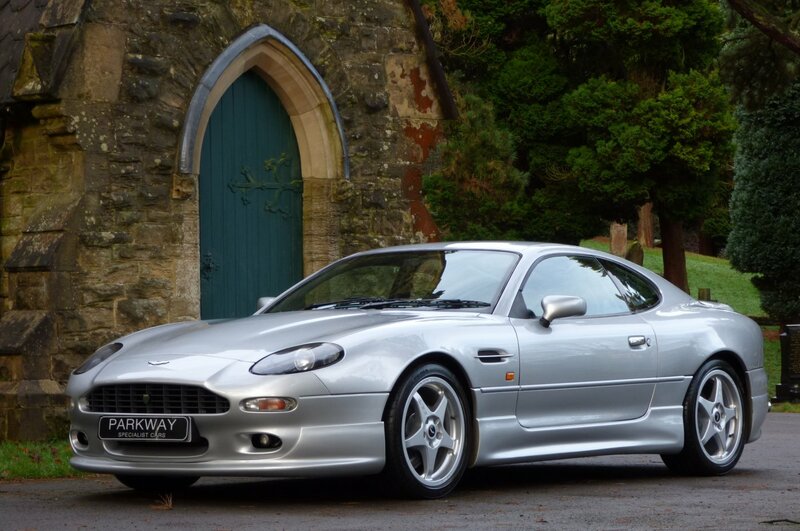 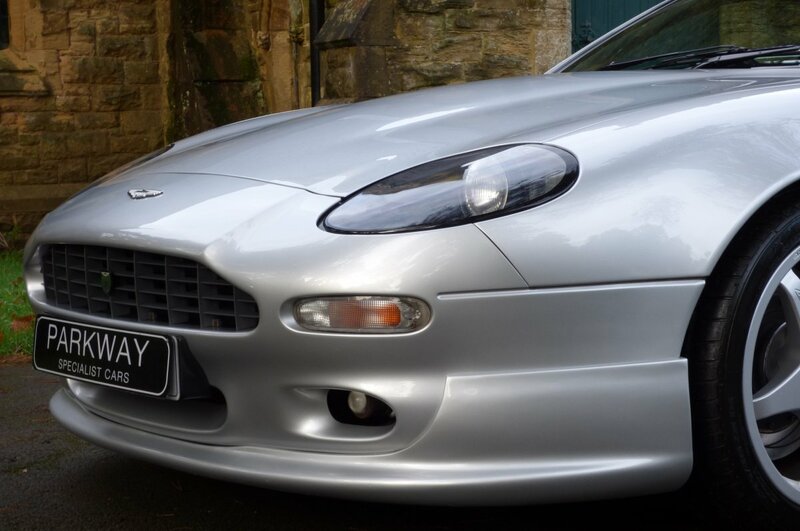 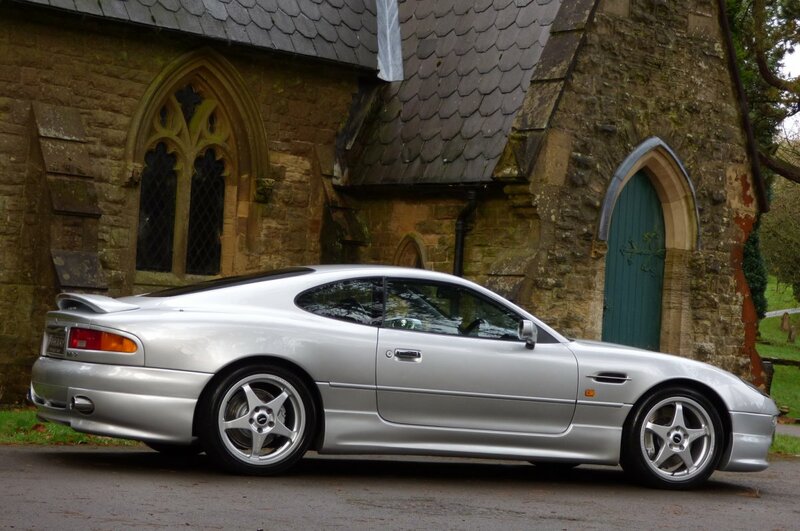 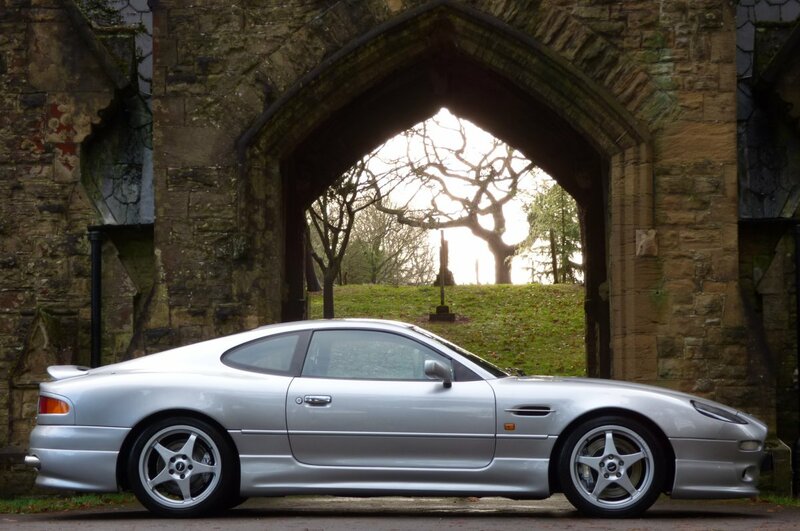 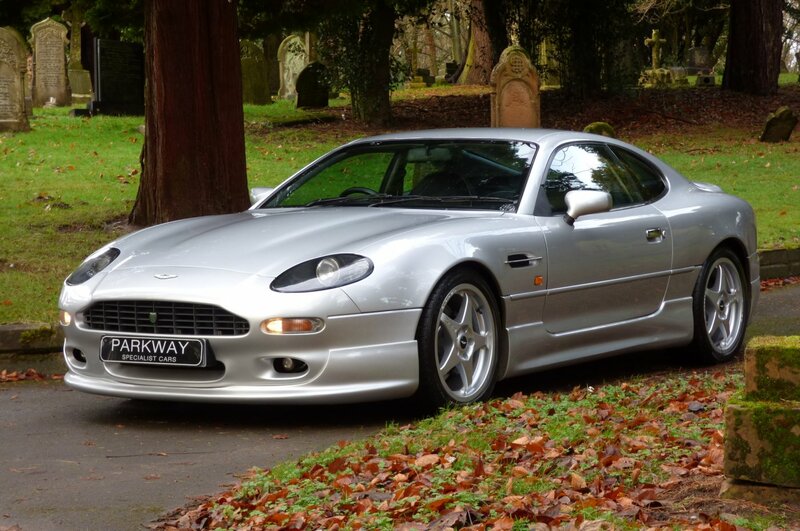 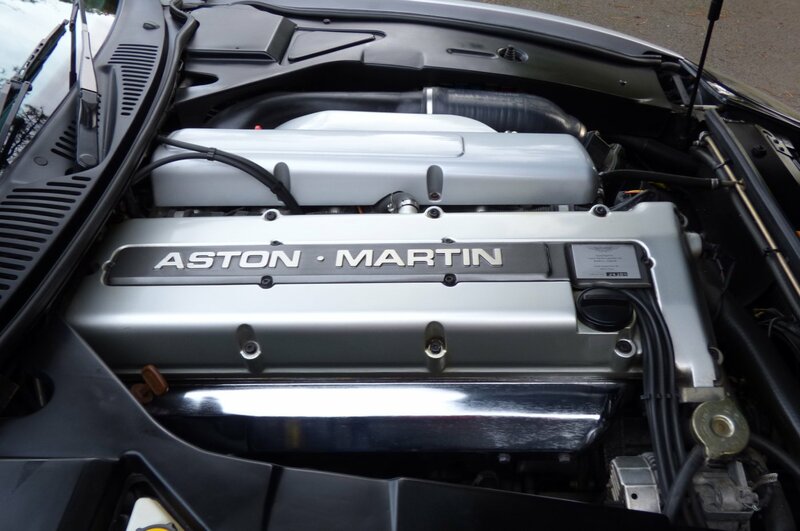 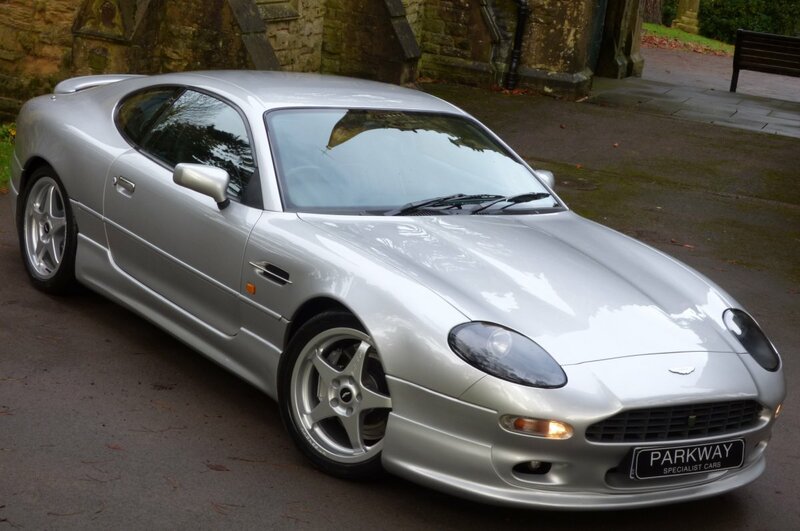 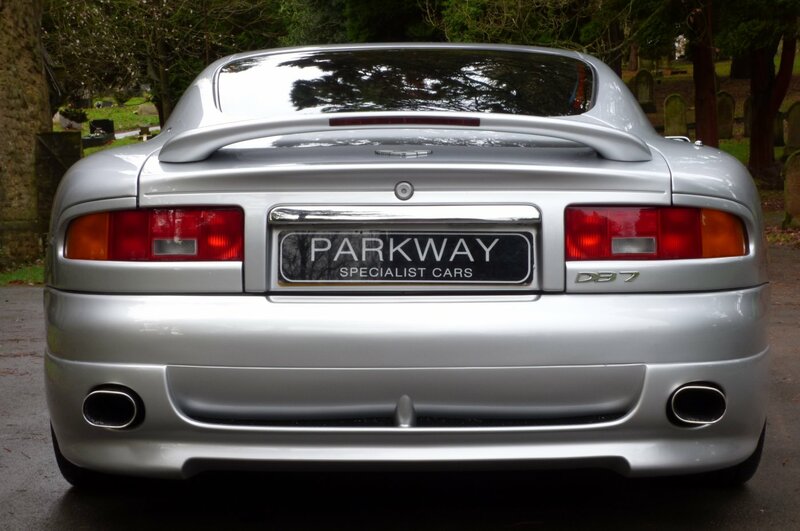 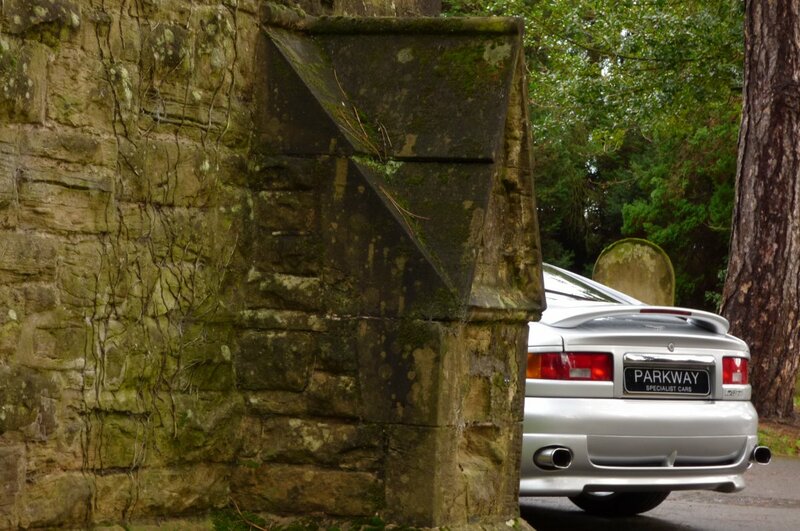 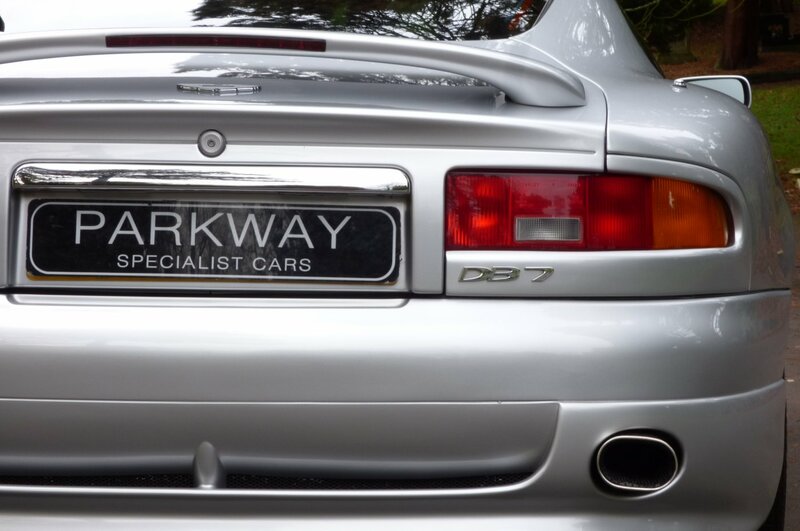 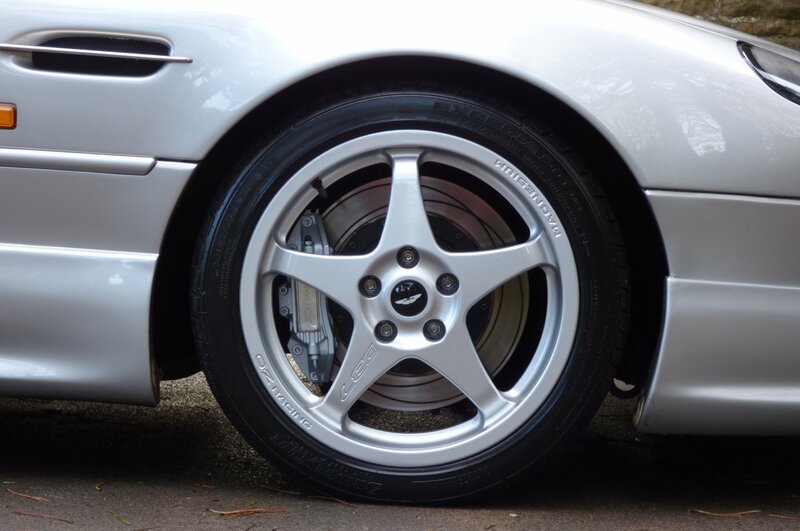 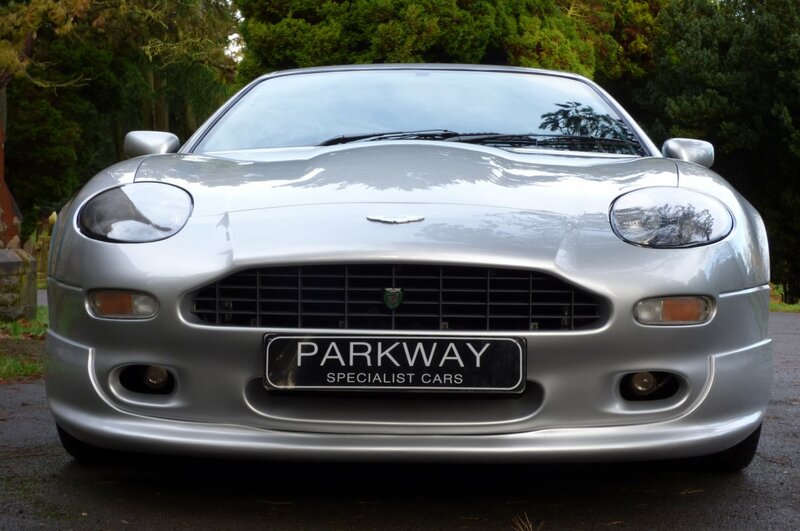 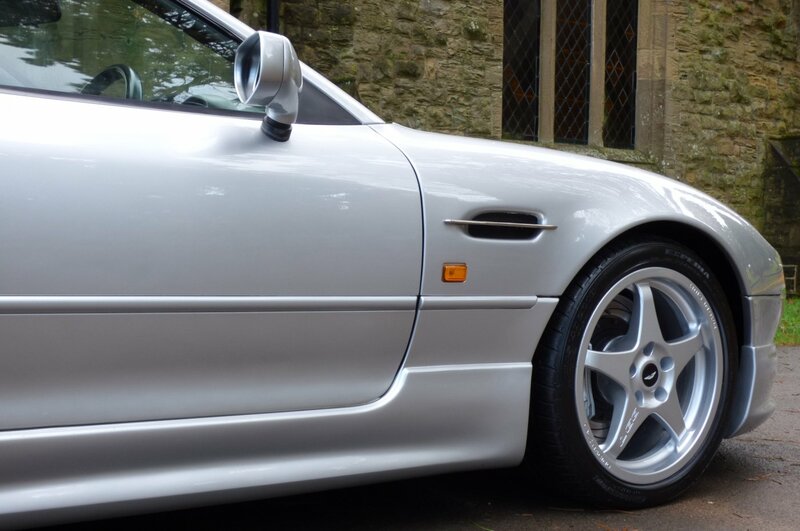 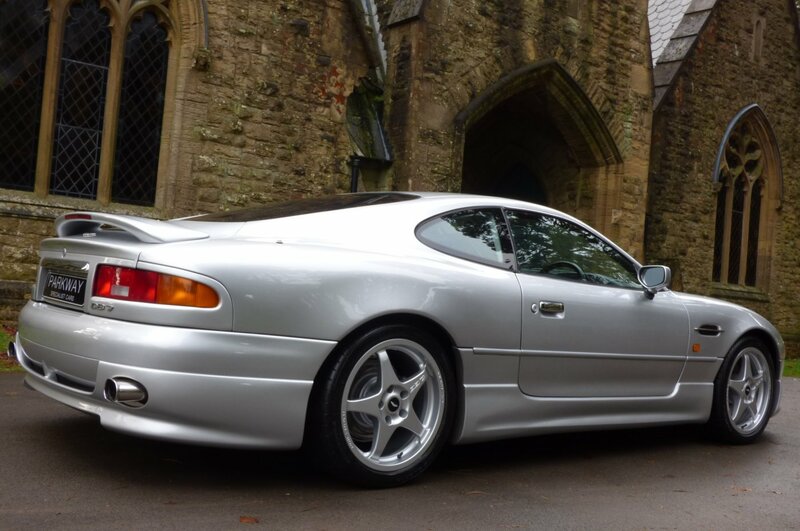 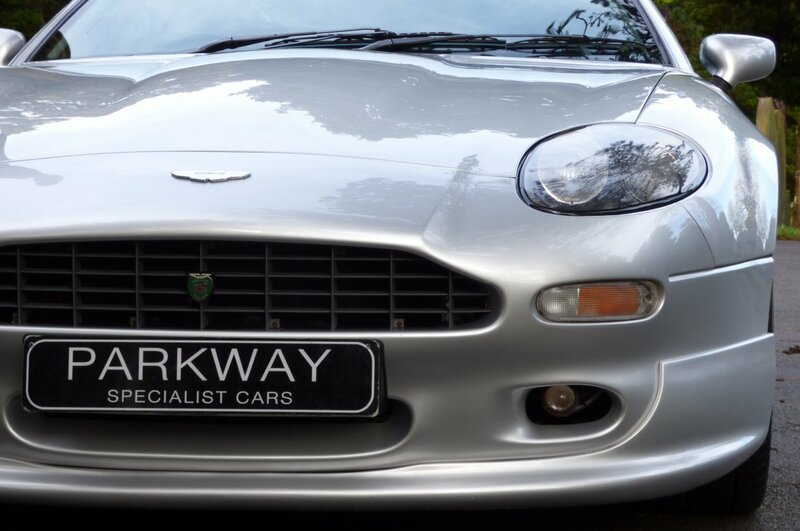 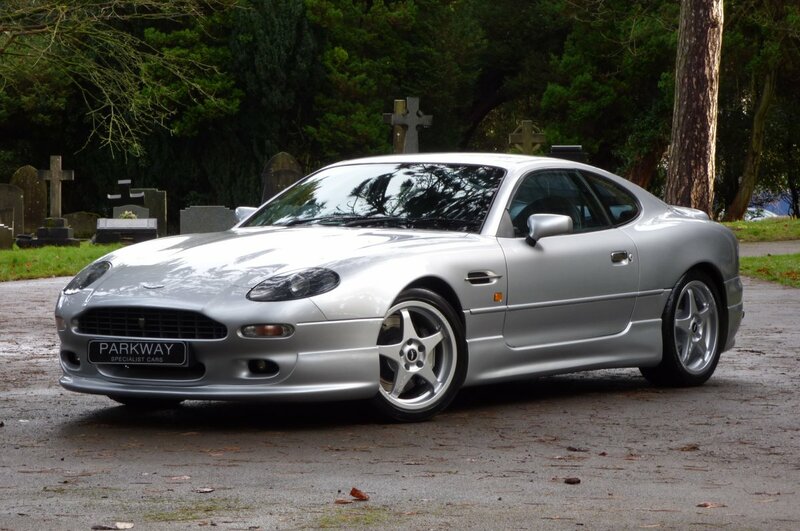 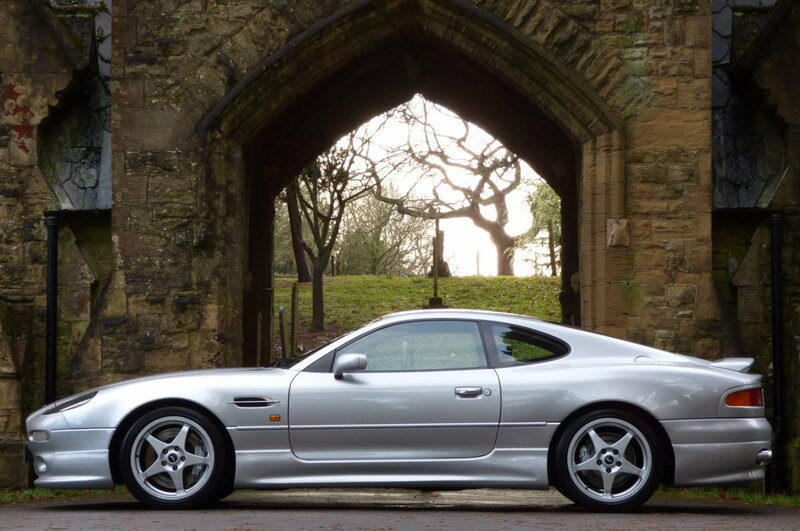 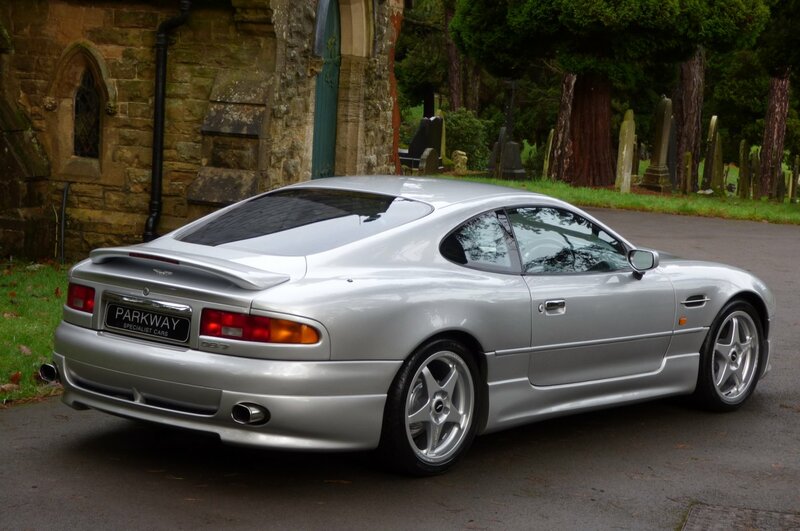 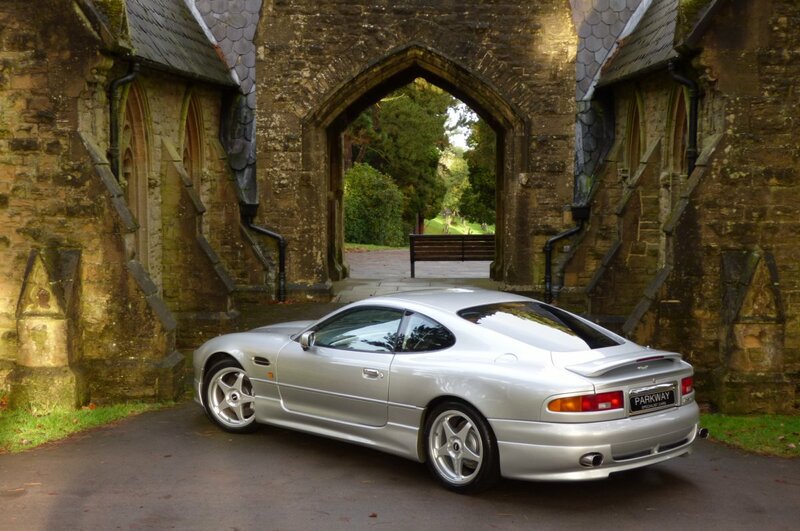 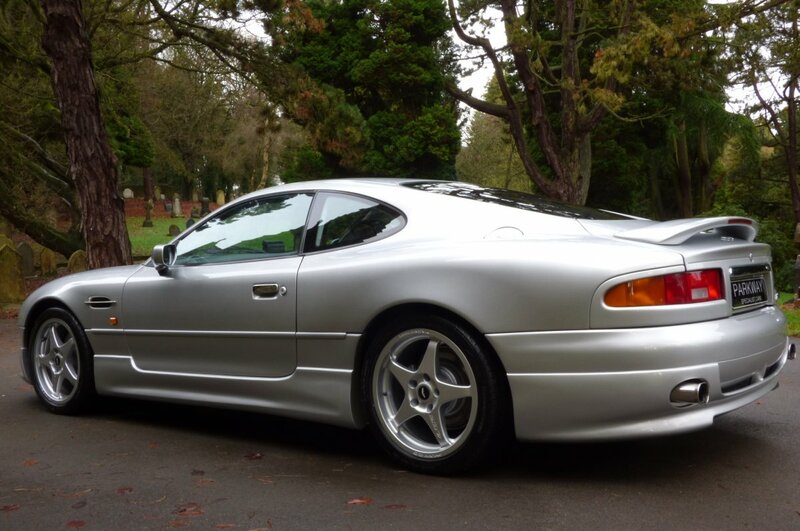 Mr Wright Of Course Wanted The Ultimate DB7 At The Time, Thus Instructing Aston Martin Works To Apply The Driving & Visual Dynamic Packages And As The Cost Was In Excess Of £24,000.00 Over The Original Vehicle Price, These Options Are Viewed As Being As Rare, If Not Rarer Than The Car Itself? 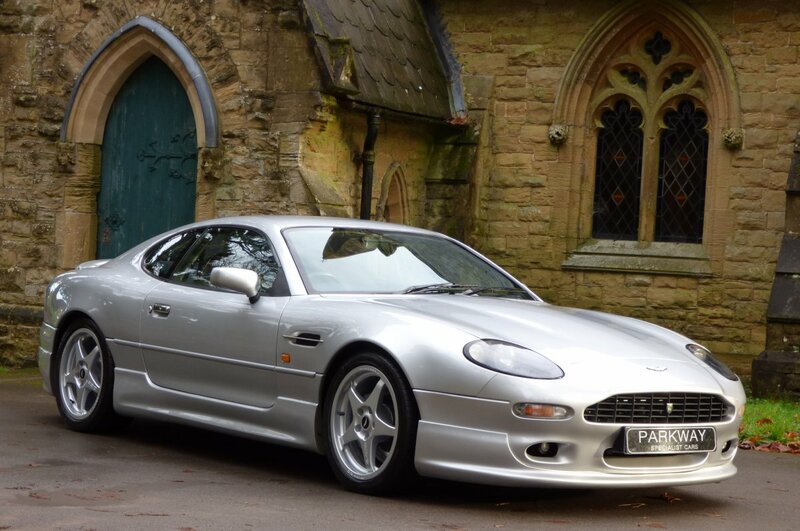 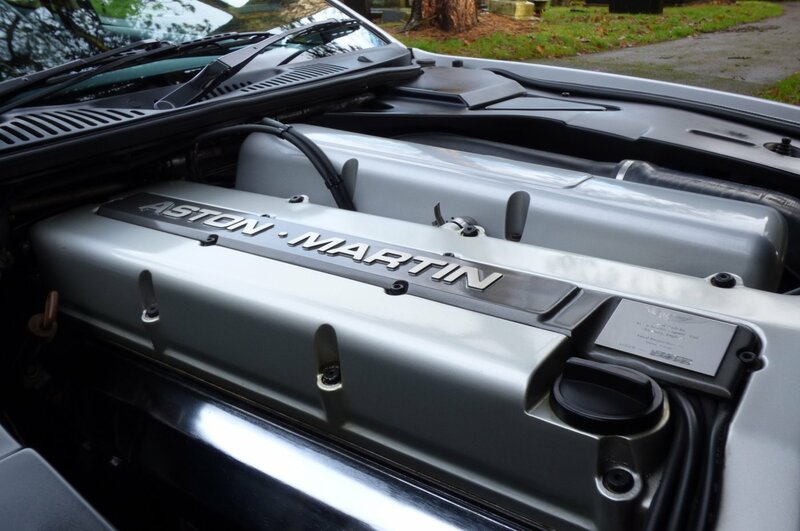 The Packages Consisted Of Items To Include The Aggressive Body Kit, The GT Embossed OZ Racing Wheels, The Suspension Upgrades, The Performance Exhaust And The Upgraded Brake Programme, All Of Which Changed The Look And Drive Of This Special, Now Heritage Aston Martin. 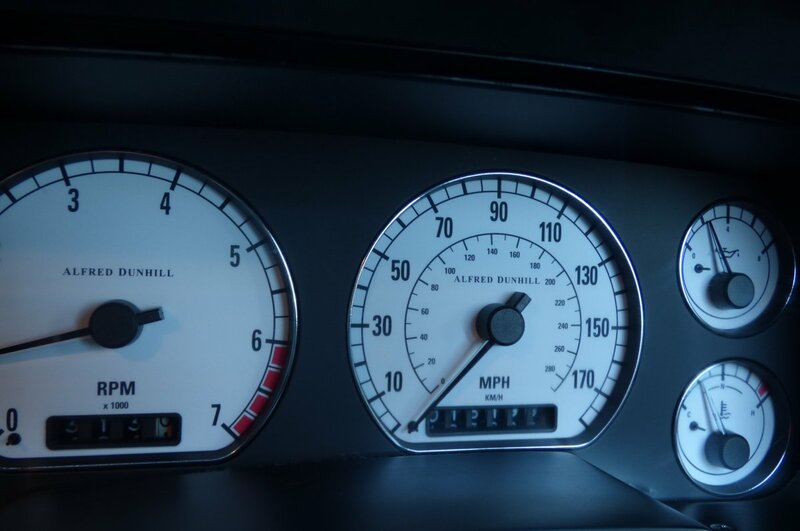 Over The Last 18 Years, This Incredible Collectable Find Has Accumulated Just 16199 Miles, Which Roughly Works Out At Just 900 Miles Per Annum, However Regardless Of This Remarkable Reading, This Vehicle Has Been Maintained To High Standards With Past Historical Visits Logged At 70, 1743, 5274, 5495, 6189, 8681, 12000, 15539 And 15642 Miles, With The Low Miles Also Been Validated By An Extensive Past A4 History File To Include Old MOT Reports And Further Completed Work Invoices. 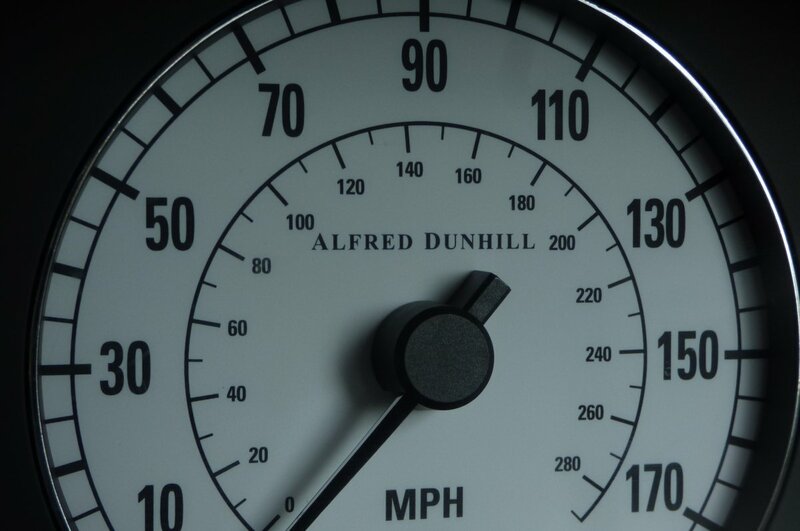 Upon The Successful Completion Of Sale Our Alfred Dunhill Will Be Presented To The Next Lucky Custodian, The Entire Booklet Pack Set, A Fully Cleared Hpi Certificate And A Fully Functional Key Set To Include The All Important Red Master Key, For That Next Person To Keep And Cherish During Their Time Of Ownership. 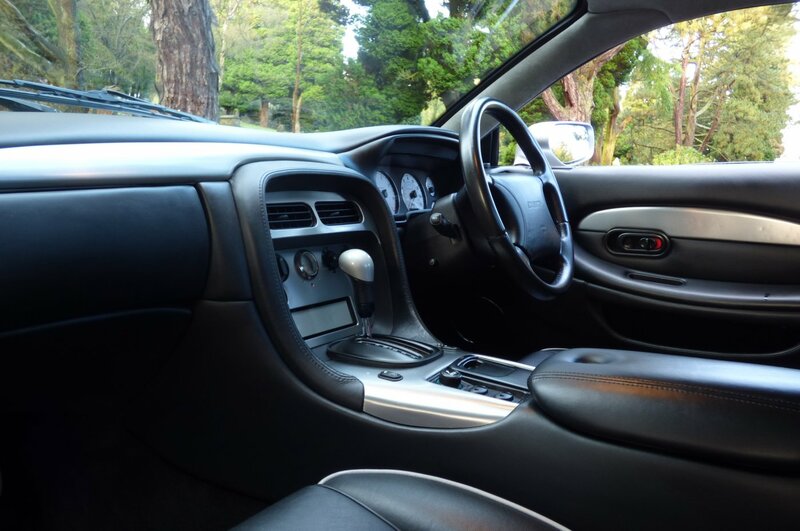 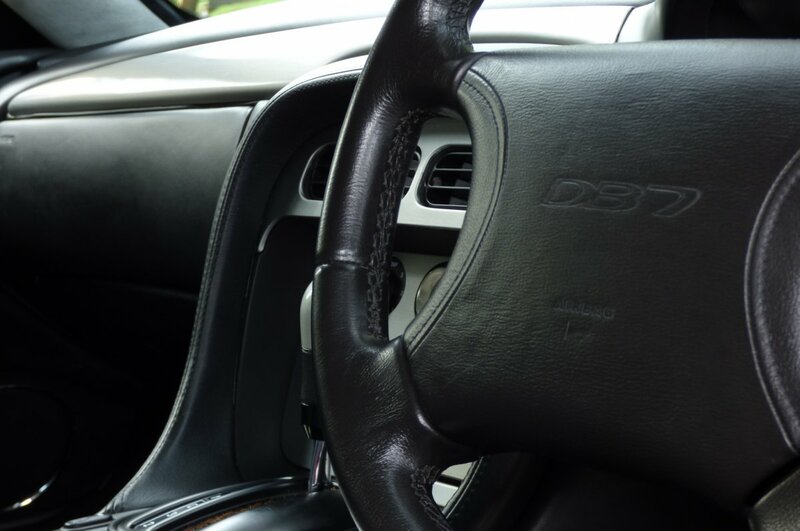 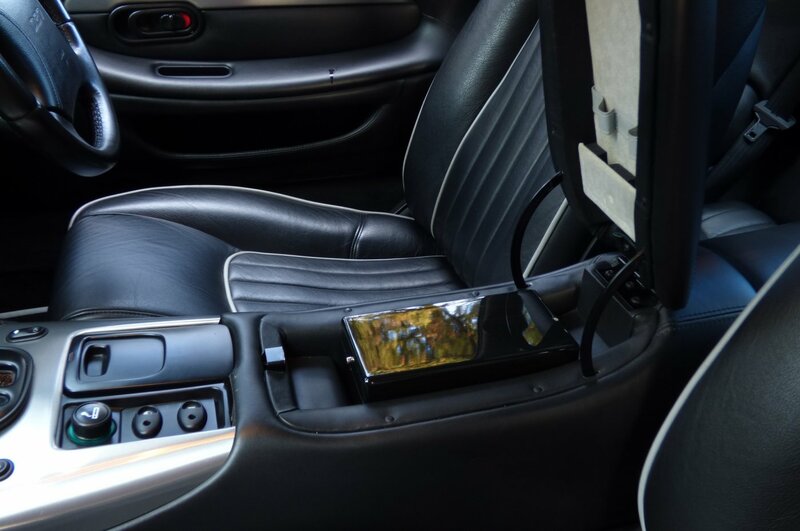 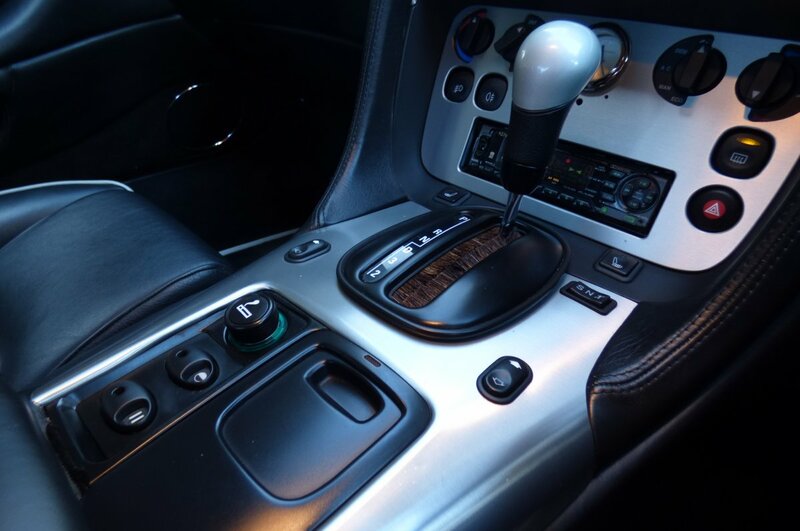 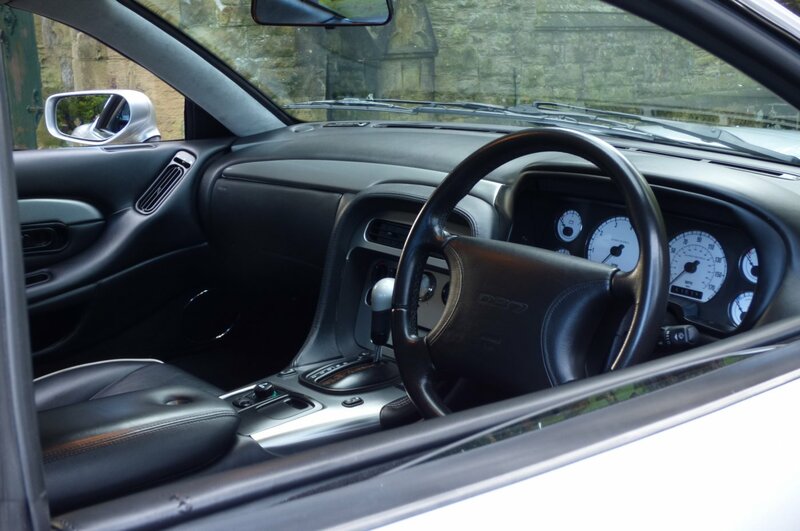 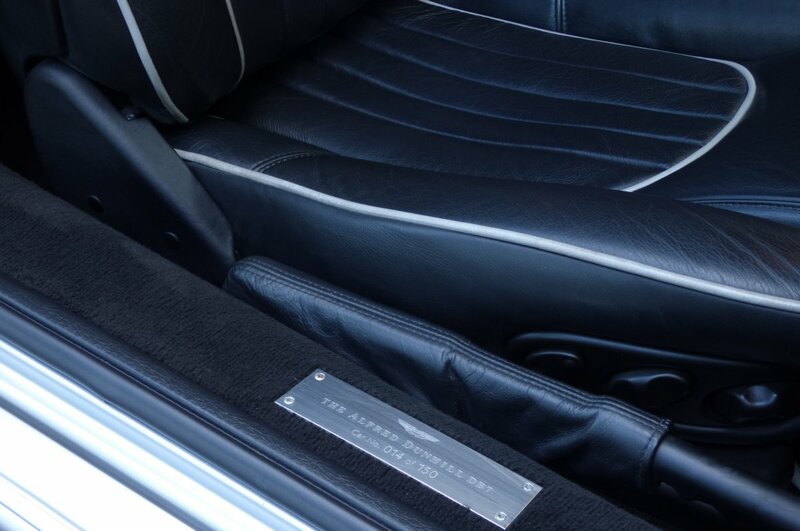 The Interior Offers The Driver And Passengers An Elegant, Yet Exciting Environment, With Subtle Detailing Giving Clues To The History Of This Great Exclusive Motoring Brand. 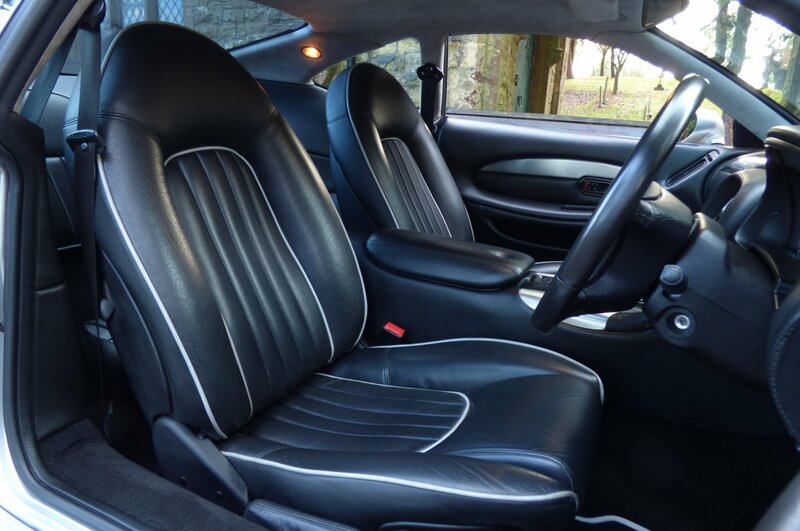 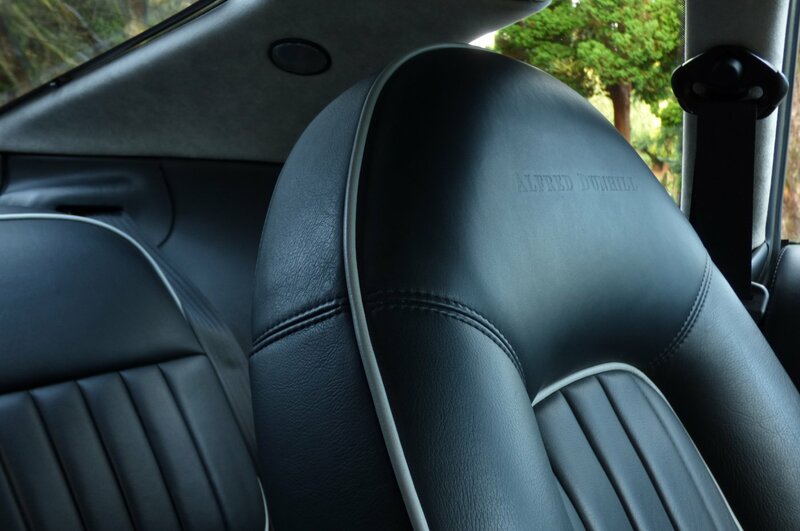 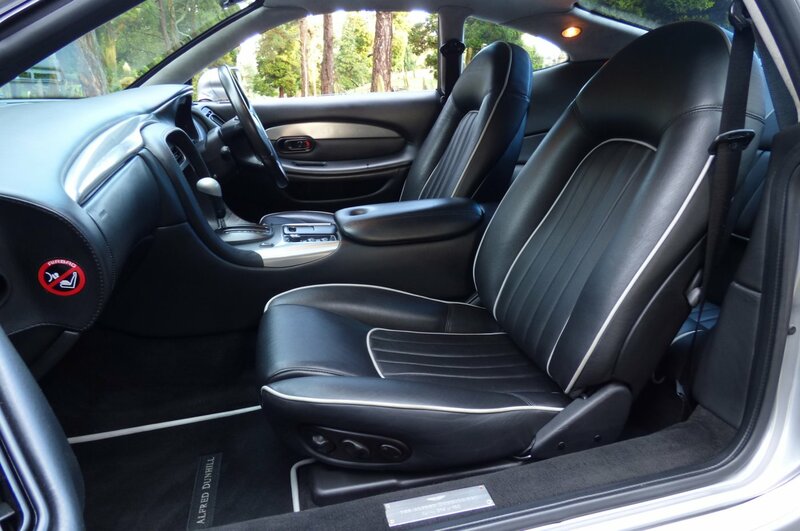 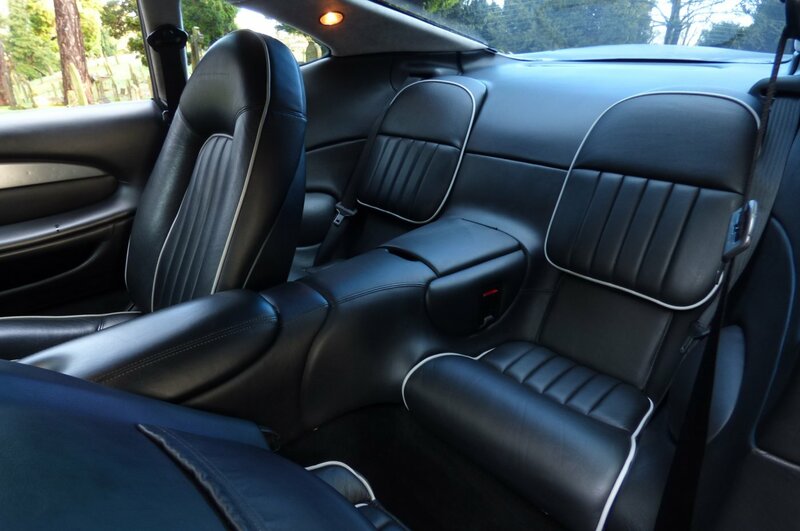 From Factory Build Number 14 Was Opted With The Alfred Dunhill Embossed Black Charcoal Connolly Leather Sport Seats, Detailed With Black Needle Stitch Work And Complemented With Silver Grey Piping. 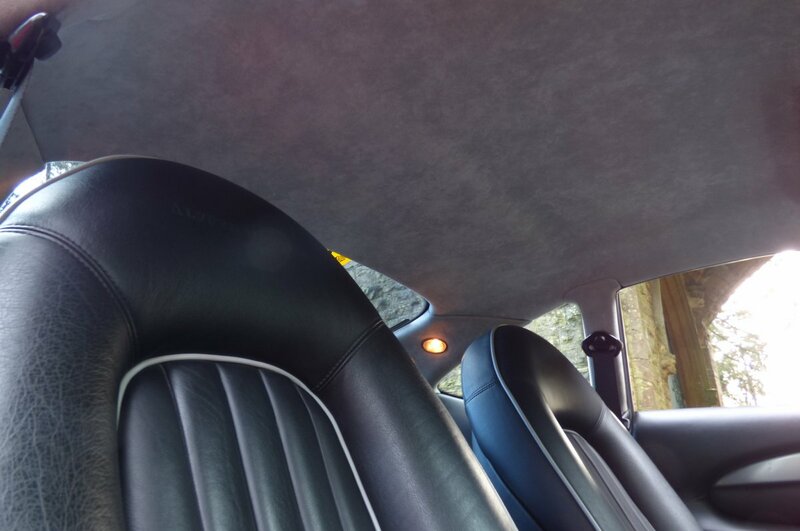 Further Interior Enhancements Are Presented With The Black Carpets Protected With The Alfred Dunhill Embossed Over Mats, The Charcoal Leather Dash That Wraps Around This Snug Cabin, The Light Grey Tailors Suede Roof Lining, The Black Charcoal Leather Trimmed Door Cards, The Leather Bound Centre Arm Rest Which Houses The Cigar Humidor, The Alfred Dunhill Millennium Centre Time Piece, The Alfred Dunhill White Clock Set And Beautifully Finalised With The Brushed Aluminium Internal Inlays. 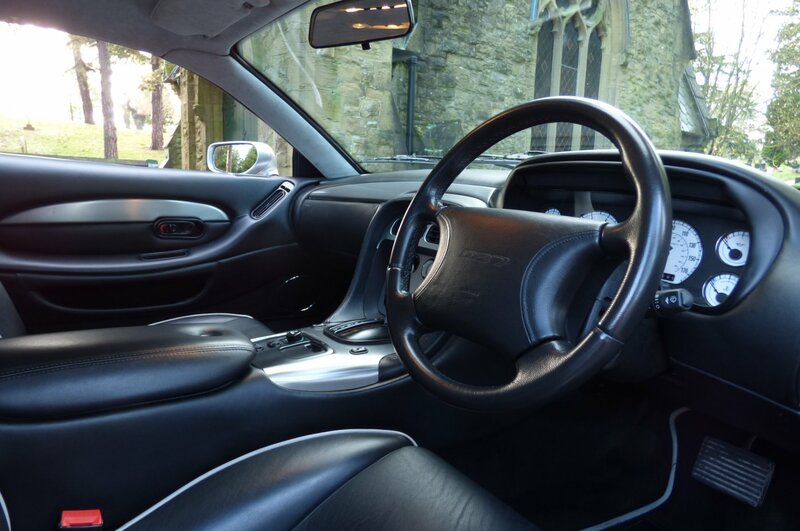 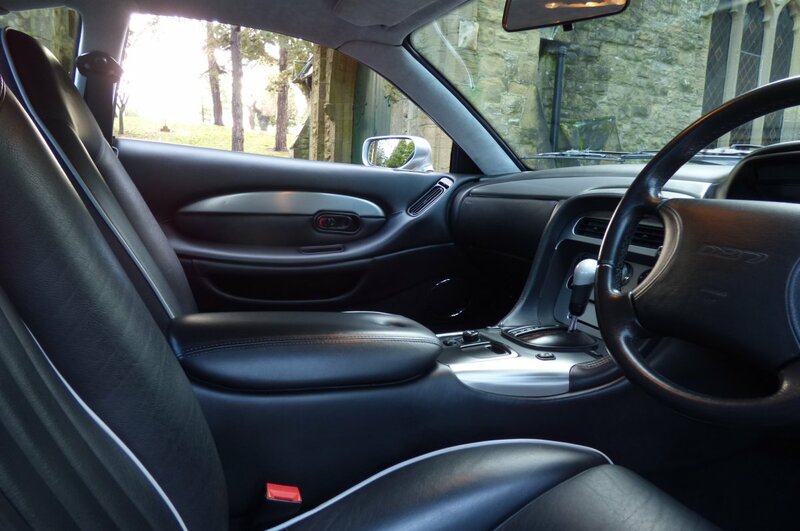 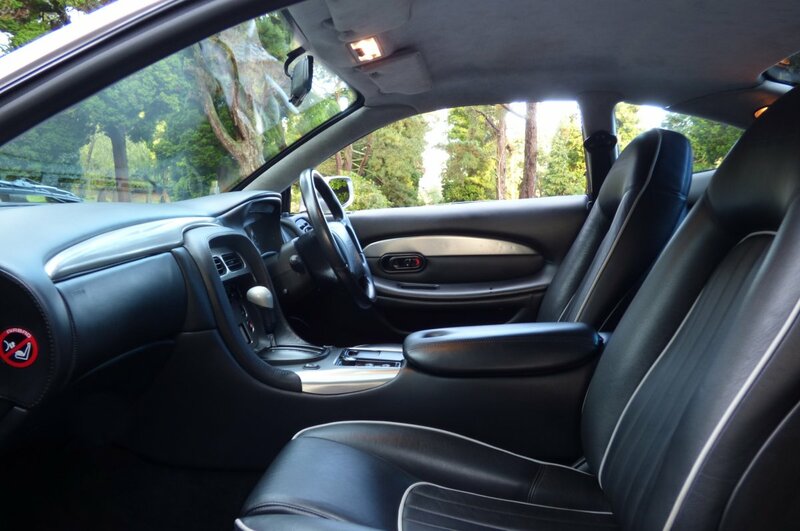 Every Element Of The Interior Is Presented In Remarkable Total Condition, Which All Perfectly Reflects The Sensational Low Mileage Reading. 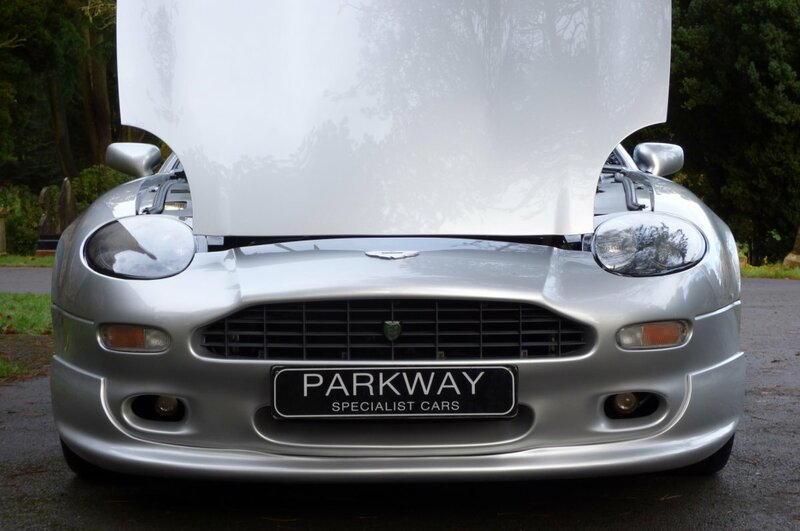 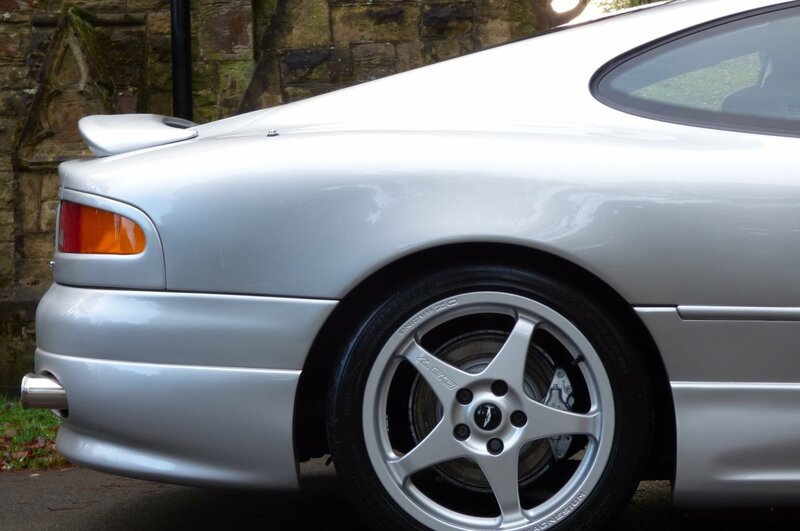 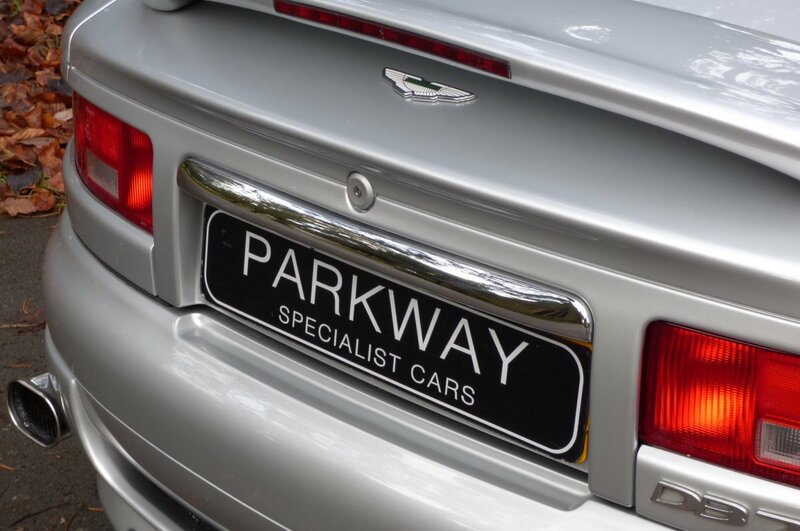 The Sculptured Body Is Presented In The Exclusive Platinum Silver Metallic, With This Colour Finish Perfectly Showcasing The Elegant DB7 Curves And Signature Aston Martin Lines. 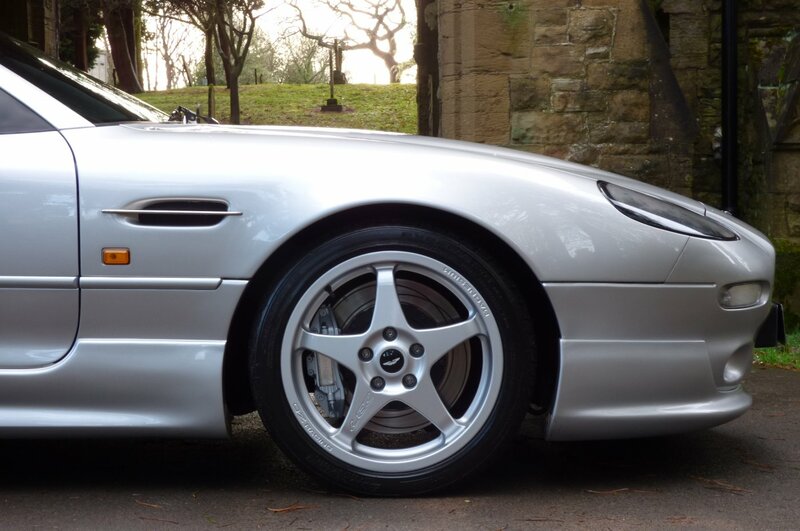 Further Exterior Detailing Is Presented With The Highly Expensive Aston Martin Works Visual Dynamics Body Frock, Which Consists Of The Front And Rear Bumper Valances, Additional Side Sill Skirts, The Rounded Boot Spoiler And The Unmarked Silver Finished 18" Five Arm OZ Racing DB7 Embossed Alloy Wheels. 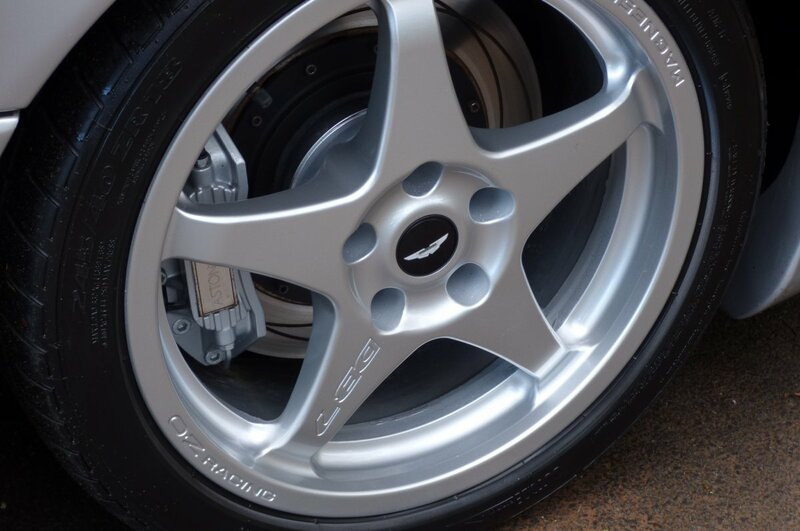 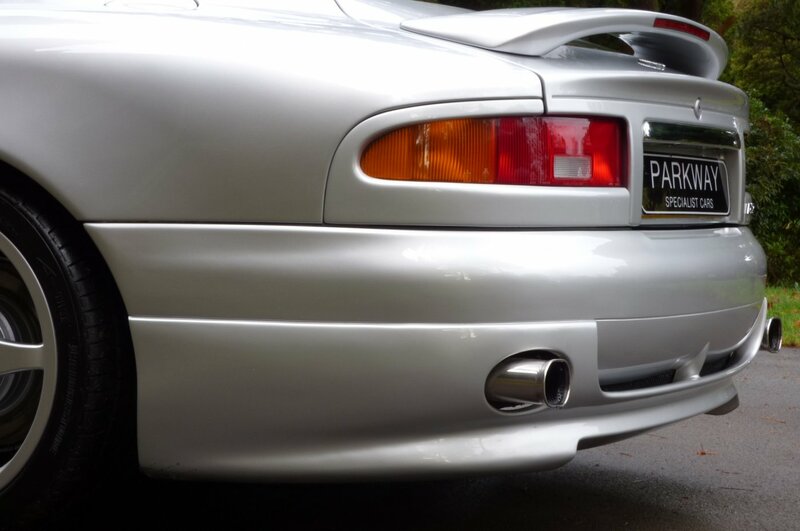 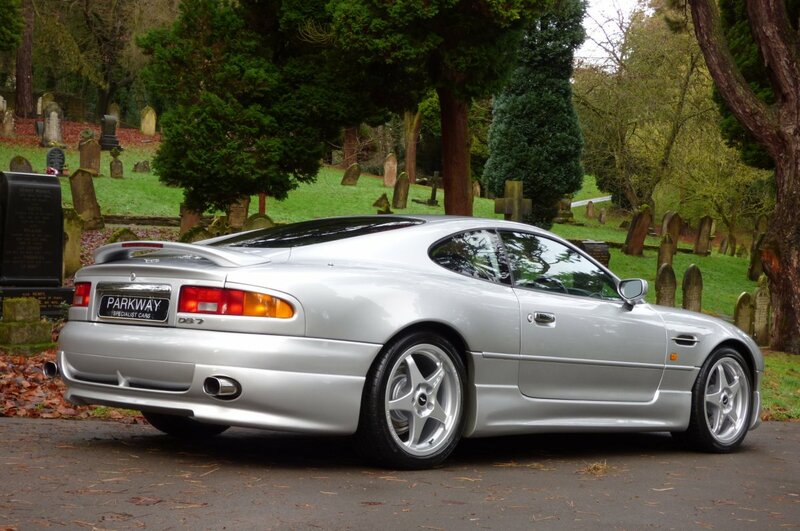 The Final Subtle Touches Comes In The Form Of Exterior Chromed Embellishments, The Twinned Oval Chromed Exhaust Tips, The Grey Vented Front Grille Embossed With The Green Aston Martin Works Shield, The Aston Martin Embossed Silver Brake Calipers And Decorated With The Now World Famous Chromed DB7 Motifs, That Finish With Spectacular Vehicle Stance. 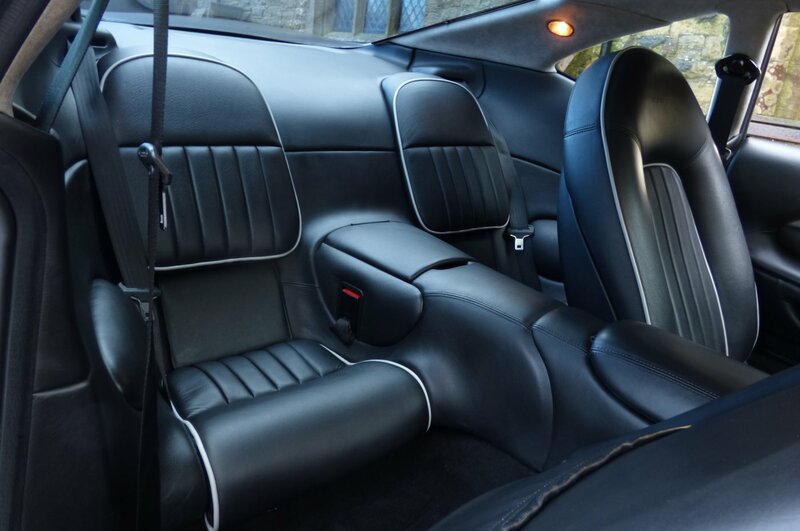 From Every Angle, This Dunhill Looks Stunning And Would Be Well Suited To Either That New Or Established Vehicle Car Collection. 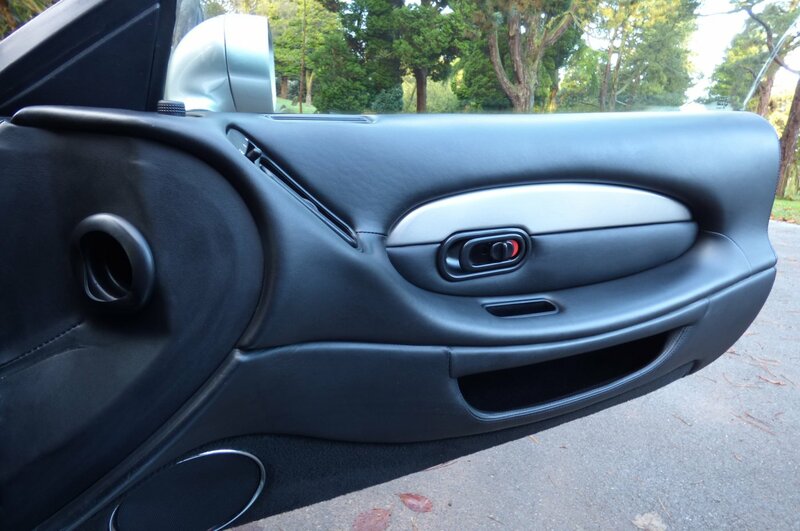 The Car Is Now Available To Secure Today, So If You Would Like To Discuss Your Own Requirements To Include The Possibility To Ship Worldwide, Then Please Contact Either Jonathan Or Mark. 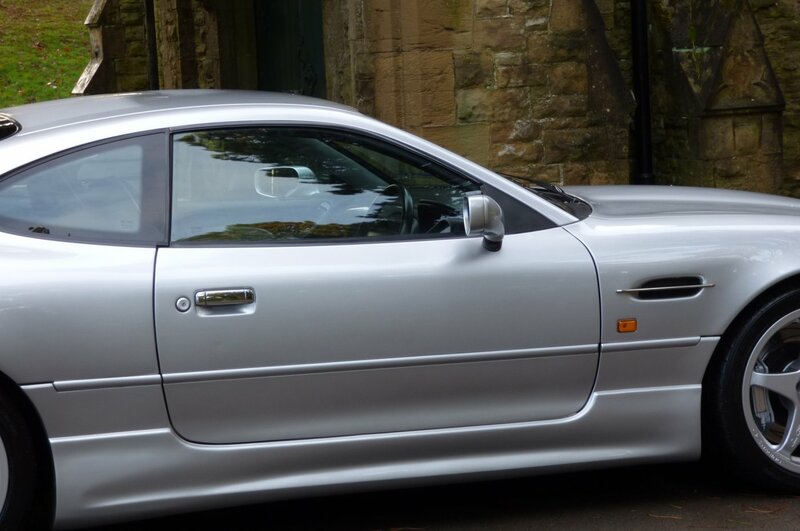 This Rare Find, With Sensational Low Miles Offers Aston Martin Options To Include The Very Expensive Visual Dynamic Package, The Unmarked Silver Finished 18" Five Arm OZ Racing Embossed Alloy Wheels Which All Sit On Branded Tyres, The Twinned Chromed Oval Exhaust Tips, Heated Front Seating, The Charcoal Black Leather Trimmed Four Spoke Aston Martin Embossed Steering Wheel, Electric Front Seat Adjust, Aston Martin Embossed Silver Brake Calipers, Electric Windows & Mirrors, The Grey Vented Front Grille With The Green Aston Martin Works Motif, The Alfred Dunhill White Dial Set, The Aluminium Embossed Dunhill Door Sill Plates, Remote Central Locking With Alarm, The Aston Martin Battery Conditioner, The Dunhill Centred Time Piece And So Much More. 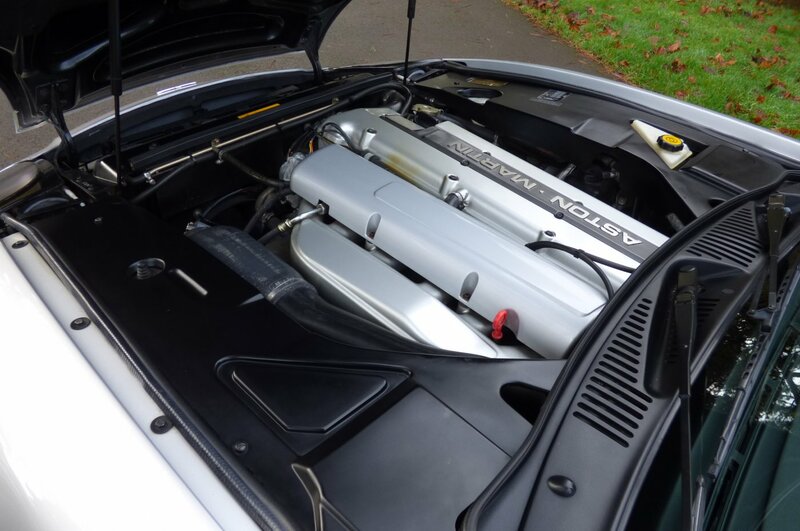 Presented For Sale With The Entire Booklet Pack Set, A Fully Cleared Hpi Report, A Historical Past A4 History File, A Full Key Set And A Complete Tool Kit Set.